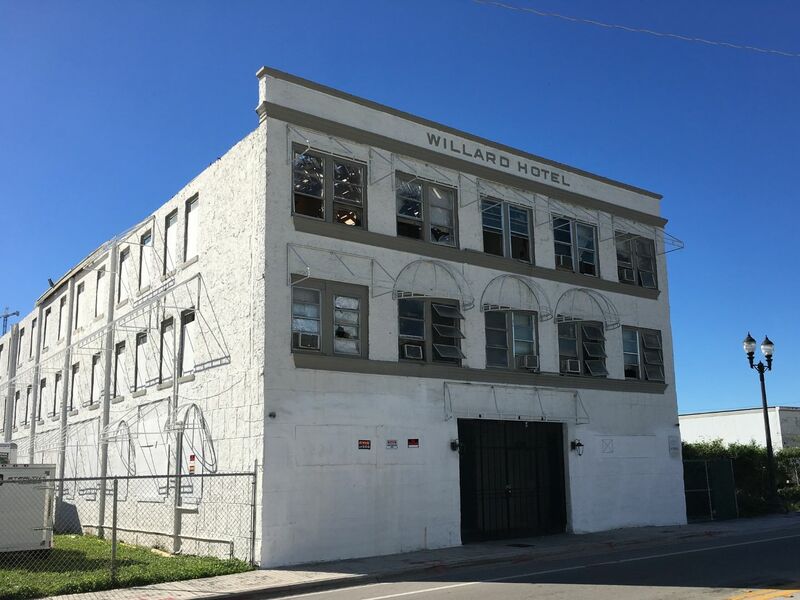 The 95-year-old Willard Hotel has been demolished. Built in 1923, it was condemned by Miami’s Unsafe Structure Panel in January and ordered demolished. 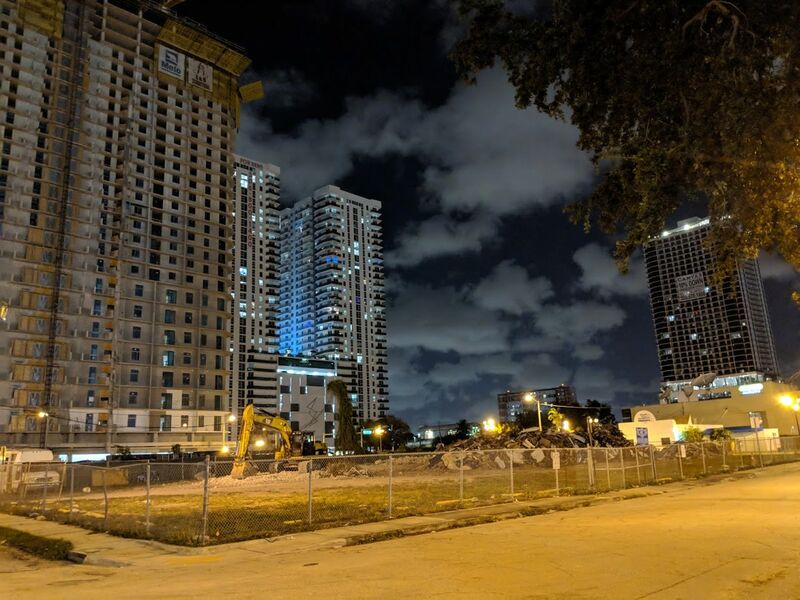 In July, the owner of the property declined to hire their own demolition contractor, and instead agreed to allow the city to demolish the building. A demolition permit was applied for on August 8, and approved August 29. It was pulled by the contractor on September 27. Total demolition cost is listed at $38,625. Records show that Gypsy K LLC, controlled by the Kluger Family Limited Partnership, purchased the property on June 20, 2018 for $3.8 million. 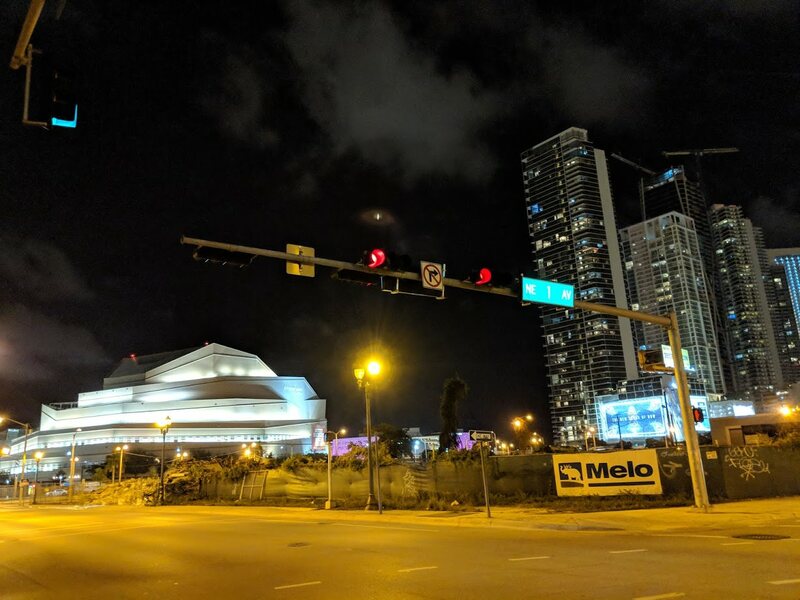 The company already owned the surrounding land, of which a portion appears to be leased to developer Melo Group as a staging area for the Art Plaza project. Anyone know where I can find the history on this property? From the looks of it, before it became a haven for drug addicts and homeless people, I am sure it had a very, very rich history…interesting to see these properties slowly disappearing one by one with that kind of old architecture. Good riddance what a dump! MELO doin work!! That’s what will happen with all the poorly built ugly MELO projects in 50 years. They definitely won’t last 95 years like this one. And you won’t be on this earth 50 years from now to know if Melo’s projects did. Neither will the rest of Miami. This is Hilarious! !Perfect Comment! I agree. The Melo fan club is coming to get you now !! More like a hate club, nobody here likes him. …and you think Melo hires decent architects? LOL! I wonder, how may hookers and their John’s past through that place? It was a last stop before homelessness for some. Horrible conditions, owner hired junkies to collect the rent. The roof blew off during Irma, and the residents ended up in a Red Cross shelter. I’m assuming the owners are being billed for the demo. They better be! I would raise hell if our tax payer dollars are going to subsidize an owner of prime land. Ah man I kept putting off taking a good photo of the trees growing out of the roof. Shame to see it go but at this point there was no saving it. It looked better than Melo’s crap in the works, even with all the classic detailing stripped. Excellent site for a highrise apartment building. While the building has history, the building as it stood a few days ago looked like it would be very difficult to save. Buildings that have been allowed to go into that much decay are nightmares even for the best of preservationists. There are better buildings to put our energy behind saving. Like the old 1910s mansion at Unity on the Bay. Oh wait, HPB is busy approving changing doors on some crappy 1950s buildings in the MiMo district, only designated because of NIMBYs rather than architectural merit. 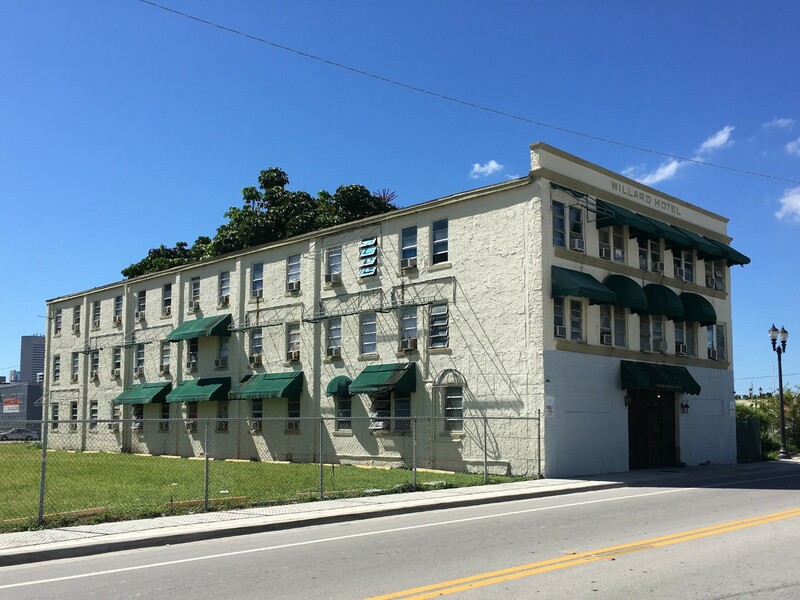 1000’s of same building you can save in Little Havana. Who pays for that demolition? Owner or us the taxpayers? I am surprised it didn’t fall over on its own. It was barely standing. “Unsafe structure…” What’s it going to do, walk off and kill somebody? Moronic laws and people going into these structures, I tell you what. Well, why didn’t you take your money, buy it, and get it up to code? Do you know anything about construction and engineering? Yes, it can kill somebody. Cracked foundations, sagging roof trusses, bowing walls, and all other kinds of defective structural items from a time when building codes were almost non-existent and composition of materials were not well understood, on top of decades of hurricane damage and neglect. Add to that outdated and decaying electrical systems that could easily electrocute or catch fire, which leads to fire safety (again, at a time when codes were almost non-existent); minimum hallway widths, minimum distances to fire exits, second-floor fire escapes, etc. The list goes on. I don’t know what issues were specific to this building but to just brush it off as “moronic laws and people” is pretty ignorant. 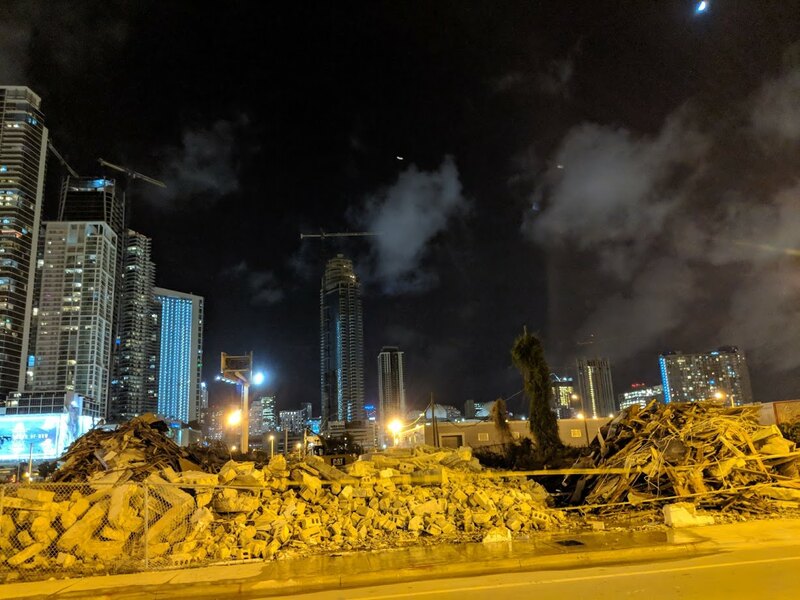 OMG, THEY ARE DESTROYING THE ARCHITECTURE PAST OF MIAMI!!! You don’t get sarcasm, do you? First of all, read a book on “how to use sarcasm” and then maybe you’ll be more proficient at it. It belongs only in the history books since nobody in their right mind would ever stay here and besides the air rights are crucial to the density this area is shaping up for. It would also cost more to restore than to demolish probably. Save it for your architecture class this place was trash and deserved to be destroyed. You don’t get sarcasm, do you ?